Last edited by cash92104; 03-27-2012 at 07:06 PM. any aftermarket accessories that came with the car (including but not limited to wheels, suspension, exhaust, seats, stereo, mirrors, pedals, steering wheel, etc.) - mostly stock, but with front strut stabilizer and chip. Very solid car. Has/had a few minor issues (had "hanging clutch pedal" now fixed with a system bleed, and has a unresolved current draw on battery). Runs extremely well. No oil leaks and consumed only 1/2 quart of oil in its first 1,500 miles, which seems low compared to what most owners report. Absolutely zero rust anywhere. Zero body damage, not even any door dings, although some swirling on paint. Typical hairline paint cracking on rear bumper and pinkish fade on rear tail light panel. Blown front speakers. New tires (all season, ugh -but no complaints). 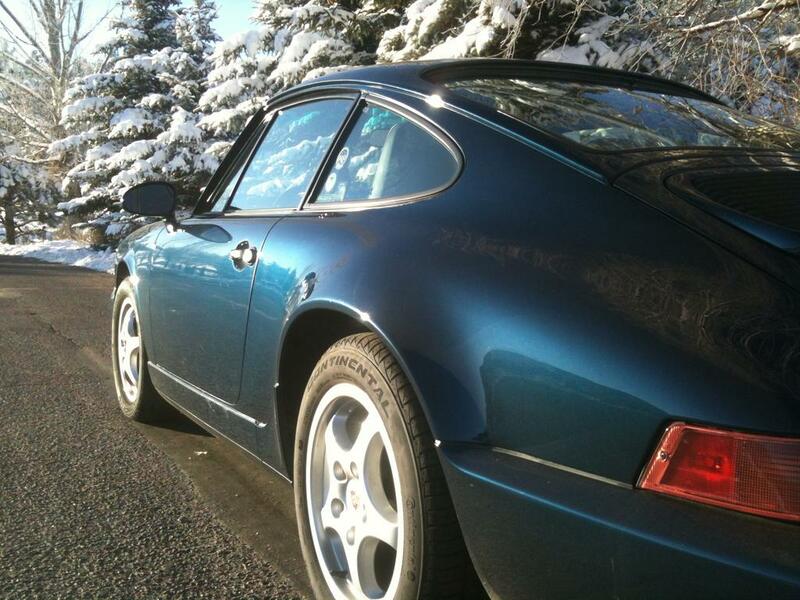 You guys got any way to find my old widebody 964 ? Was a Polar Silver / Black Carerra 4. i bought the car in maybe 99 or 2000. Got it from a broker named Al King at Porsche Exchange, outside Chicago. I drove the car until about 70k miles if memory serves, maybe 2002. I got hit hard in the back, had it fixed correctly and enjoyed it through 2 winters (Blizzaks!) and eventually donated the car to a local charity (st. John's home, grand rapids michigan). A local car dealer named Felipe' (dont know last name) who used to manage a local Lexus dealership bought it somehow and later contacted me to get the snow tires. I'd like the car back. How do I find it ? Ideas ? If I found the VIN would that help in any way ? Forgot to mention the car was a 1994. Factory widebody, no wing Love any info if someone knows where the car is! Cop said best shot is..
to do Carfax and glean any info on location last, then call local service shops and poke around. In the old days he would not need to login to cop/dmv system.. 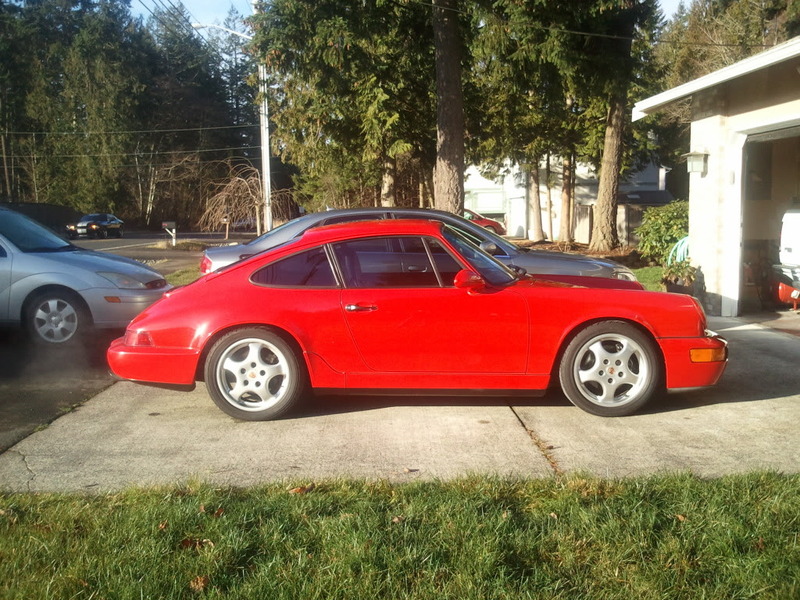 Sorry new to the forum but looking at purchasing a 964. Is this the right thread to post a potential buy for feedback on price or only after purchase to give an indication of market? Notes: Took it to TPC Racing for overall assessment and work; 4 new rotors, pads, 4 new shocks, and 4WD system bled. Will still need new plugs and wires. Oh, the front bumper is showing a reflection, not damage... 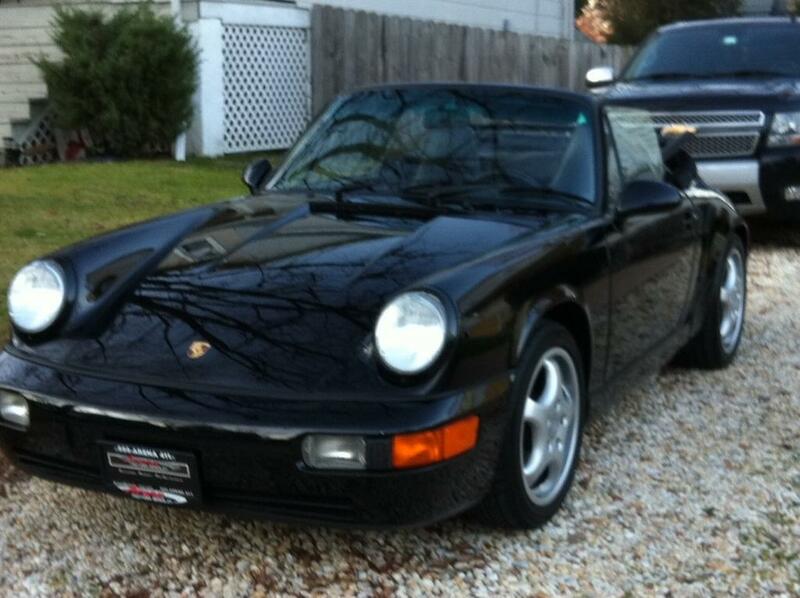 Overall, after owning a 91 C4, this one is in pretty good shape. Sean, I'm not a regular, but I believe it's an indicator of market, and a place where we can show off our beauties! Sorry if I missed it among all these posts, but was a database ever compiled from this data? any aftermarket accessories that came with the car (including but not limited to wheels, suspension, exhaust, seats, stereo, mirrors, pedals, steering wheel, etc.) PO had 993 mirrors and secondary muffler bypass installed,and for some reason H4 headlight assembles. I thought the factory lights on 964's were just as good as H4's? your assessment of the mechanical condition of the vehicle (1-10, 10 being highest) 7.5, It has an intermittent speedometer with a flaking face, a battery drain issue and a few oil leaks in the cam tower area and the oil thermostat. The back brakes will need to be replaced soon as well. A few positive features are factory lsd, heated sport seats and factory sport suspension and the original CD2 radio is still installed. Last edited by Merle; 01-01-2012 at 07:10 PM. your assessment of the mechanical condition of the vehicle (1-10, 10 being highest) 8 - had some issues that came up in PPI such as oil leaks.